Signal Boost — Author Stuart Yates! 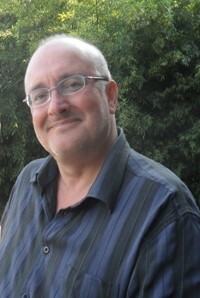 Introducing author Stuart Yates. Stuart is an Englishman who lives in Spain. He is a teacher of history and a prolific author. Stuart loves writing and it is his dearest wish to share his stories with others. Born on the Wirral, I live in Spain. I've done a lot of things in my life, and now work as a teacher. I have done for over 20 years, but writing is my first love. As Glenn Stuart, I have written 10 YA novels, and as Stuart G Yates, I write adult thrillers (some of them might be classed as cross-overs, that means they are also suitable for teenagers). This is my main direction now. I love writing, and virtually every day I get something down on my word processor. I love to create worlds, characters, events. Often I have a plan to follow, and I know the direction, but what happens in-between is sometimes not even up to me. Things simply take over. Here is one of his works. Many others listed on his author page! 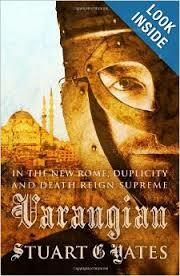 Varangian — Viking Adventurer faces treachery and politics in 12th Century Byzantium. February 5, 2014 in Signal Boost.